St. Isaac the Syrian: I beg and beesech you . . . I beg and beesech you, Lord: grant to all who have gone astray a true knowledge of you, so that each and every one may come to know your glory. 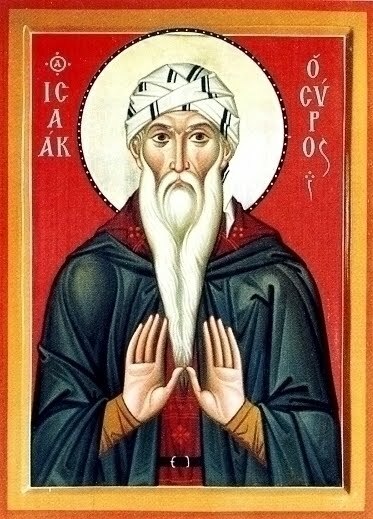 This entry was posted in Sayings from Saints, Elders, and Fathers, St. Isaac the Syrian and tagged Astray, Intercession, Knowing God, Knowledge, Lost Sheep, Prayer of Intercession, Repentance, Salvation, Spiritual Knowledge on September 11, 2015 by . + St. John of Damascus, PG 96, 744C, quoted from The Life of the Virgin Mary, the Theotokos , Holy Apostles Convent, p 486. This entry was posted in Sayings from Saints, Elders, and Fathers, St. John of Damascus and tagged Dormition of the Theotokos, Intercession, Intercession of the Theotokos, Theotokos on September 1, 2014 by . When was such a wonder of wonders ever seen by men? How does the Queen of all lie breathless? 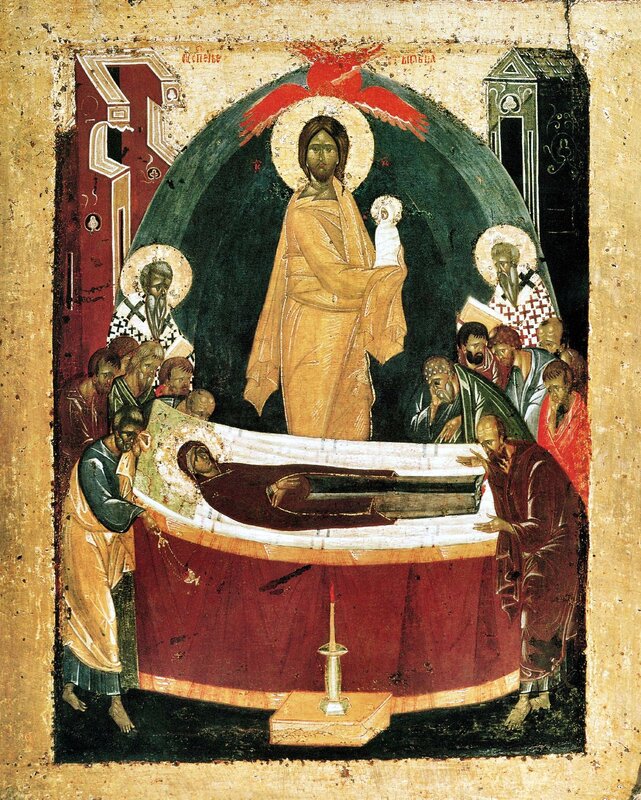 How has the Mother of Jesus reposed? Thou, O Virgin, wast the preaching of the prophets; thou art heralded by us. All the people venerate thee; the angels glorify thee. Rejoice, thou who art full of grace, the Lord is with thee, and through thee, with us. With Gabriel we hymn thee, with the angels we glorify thee; and with the prophets we praise thee, for they announced thee. Habakkum beheld thee as an overshadowed mountain, for thou art covered with the gifts of the Holy Spirit. Daniel beheld thee as a mountain from whom, seedlessly, the solid and strong King, the Christ, issued forth. Jacob saw thee as a ladder upon Whom Christ came down to eat and drink with us. And although we, His slaves, contemplate ascending into the heavens, yet thou hast ascended before all. Rejoice, O Virgin, for Gideon beheld thee as a fleece. David saw thee as the virgin daughter of the King. Isaias called thee Mother of God and Ezekiel a gate. All the prophets prophesied thee! + St. Hierotheos, Quoted from The Life of the Virgin Mary, the Theotokos , Holy Apostles Convent, pp 476-77. Originally sourced from The Great Synaxaristes of the Orthodox Church (in Greek), see footnote 134, pg 592, in The Life of the Virgin Mary for greater detail. This entry was posted in Sayings from Saints, Elders, and Fathers, St. Hierotheos and tagged Archangel Gabriel, Corruption, Death, Dormition of the Theotokos, Ever-Virgin, Gideon, Intercession, Intercession of the Theotokos, Old Testament Events, Old Testament People, Old Testament Types, Paradise, Prophet Daniel, Prophet Ezekiel, Prophet Habakkuk, Prophet Isaiah, Theotokos, Theotokos Types, Virginity on August 20, 2014 by . Elder Thaddeus: The Most Holy Mother of God prays for us ceaselessly. . . . 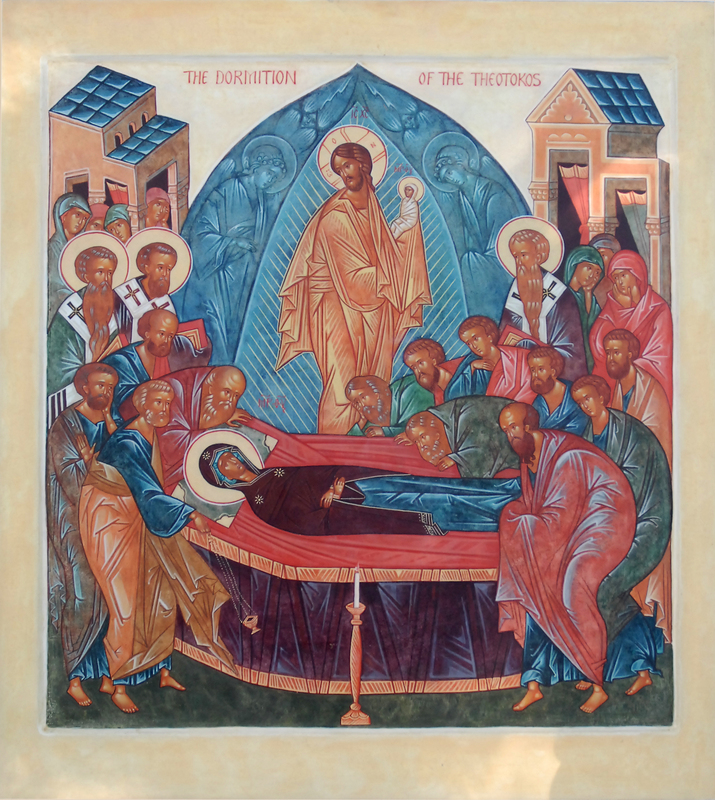 This entry was posted in Elder Thaddeus and tagged Dormition of the Theotokos, Healing, Intercession, Intercession of the Saints, Intercession of the Theotokos, Pray without Ceasing, Prayer, Protection of the Theotokos, Sickness, Theotokos on August 16, 2014 by . 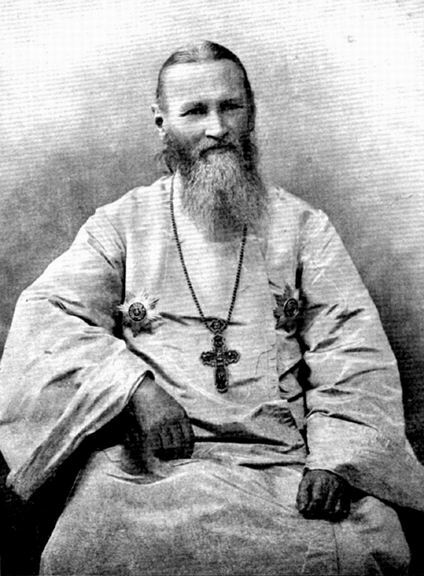 St. John of Kronstadt: We ought to have the most lively spiritual union with the heavenly inhabitants . . . This entry was posted in Sayings from Saints, Elders, and Fathers, St. John of Kronstadt and tagged Apostles, Friends, Intercession, Intercession of the Saints, Lives of the Saints, Martyrs, Prayer, Saints, Salvation, Spiritual Tools, The Church, Theosis, Veneration of Saints on June 22, 2014 by . St. John of Kronstadt: The candles lit before icons of saints reflect their ardent love for God for Whose sake . . . This entry was posted in Needs Source, Sayings from Saints, Elders, and Fathers, St. John of Kronstadt and tagged Candles/Lamps, Death, Icon, Intercession, Intercession of the Saints, Lives of the Saints, Living Orthodoxy, Love of God, Martyrdom, Martyrs, Petitioning God, Prayer, Prayer of Intercession, Sacrifice, Saints on June 21, 2014 by . 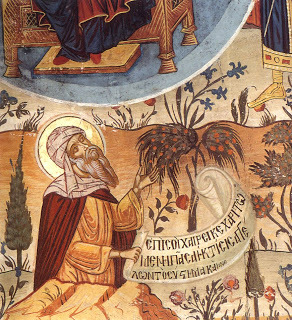 St. John of Damascus: . . . Nor are the saints whom we glorify fictitious. . . . This entry was posted in Sayings from Saints, Elders, and Fathers, St. John of Damascus and tagged Faith, Faith in God, God of the Living, Icon, Iconoclasts/Iconoclasm, Intercession, Intercession of the Saints, Literal Interpretation of Scripture, Living Orthodoxy, Miracles of Saints, Prayer, Saints, Veneration of Saints on May 22, 2014 by . This entry was posted in Sayings from Saints, Elders, and Fathers and tagged Cross, Fornication, Intercession, Redemption, Repentance, Temptation, Theotokos, Virginity on March 31, 2014 by . 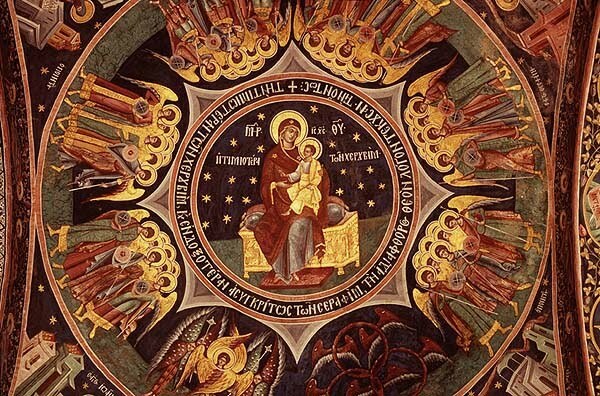 Theotokian: We ever give thee thanks and magnify thee, O pure Theotokos . . . This entry was posted in Church Prayers, Hymns, Services and tagged Cheesefare, Demons, Hymns of the Church, Intercession, Prayer of Intercession, Theotokian, Theotokos, Tollhouses on December 17, 2013 by . O undefiled, untainted, uncorrupted, most pure, chaste Virgin, Thou Bride of God and Sovereign Lady, who didst unite the Word of God to mankind through thy most glorious birth giving, and hast linked the apostate nature of our race with the heavenly; who art the only hope of the hopeless, and the helper of the struggling, the ever-ready protection of them that hasten unto thee, and the refuge of all Christians: Do not shrink with loathing from me a sinner, defiled, who with polluted thoughts, words, and deeds have made myself utterly unprofitable, and through slothfulness of mind have become a slave to the pleasures of life. But as the Mother of God Who loveth mankind, show thy love for mankind and mercifully have compassion upon me a sinner and prodigal, and accept my supplication, which is offered to thee out of my defiled mouth; and making use of thy motherly boldness, entreat thy Son and our Master and Lord that He may be pleased to open for me the bowels of His lovingkindness and graciousness to mankind, and, disregarding my numberless offenses, will turn me back to repentance, and show me to be a tried worker of His precepts. And be thou ever present unto me as merciful, compassionate and well disposed; in the present life be thou a fervent intercessor and helper, repelling the assaults of adversaries and guiding me to salvation, and at the time of my departure taking care of my miserable soul, and driving far away from it the dark countenances of the evil demons; lastly, at the dreadful day of judgment delivering me from torment eternal and showing me to be an heir of the ineffable glory of thy Son and our God; all of which may I attain, O my Sovereign Lady, most holy Theotokos, in virtue of thine intercession and protection, through the grace and love to mankind of thine only begotten Son, our Lord and God and Savior, Jesus Christ, to Whom is due all glory, honor and worship, together with His unoriginate Father, and His Most Holy and good and life creating Spirit, now and ever, and unto ages of ages. Amen. This entry was posted in Church Prayers, Hymns, Services and tagged Death, Demons, Final Judgement, Intercession, Judgement, Judgment Day, Nativity of Jesus (Christmas), Passions, Prayer of Intercession, Prayers of the Church, Protection, Protection of the Theotokos, Salvation, Small Compline, Soul and Body, Theotokos, Tollhouses on December 17, 2013 by .